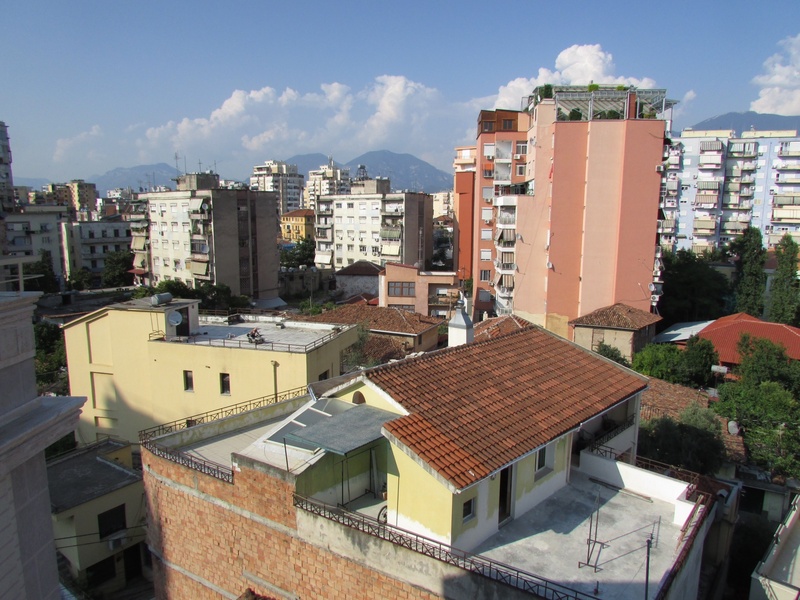 Tirana is looking far more developed and orderly than when I was there for a month during the Kosovo War. Then, all the manhole covers were missing. That wasn’t a big problem in most areas, since the holes had filled up with rubbish so one wasn’t really likely to step in. But in the embassy district, where the police kept ordinary Albanians out, it meant there were big gaping holes in the pavement. I would imagine that most of the country looks very different now. Lots of construction taking place.